I actually couldn’t think of 5 reflections for 2013 as they are all sort of mixed in with my goals. So I thought I’d write a combined post. I think in reflection, my most important reflection would be that I still hadn’t found that elusive work/life/hobby balance in 2013. It’s hard isn’t it? I would like to have been more productive but in the end you can’t really beat yourself up about it. The only person you are accountable to is yourself anyway. Not to make any damn New Year’s Resolutions this year…. Because I’ll break them anyway. Finish things off. Stop things hanging around for eternity in an unfinished state and actually wear them. 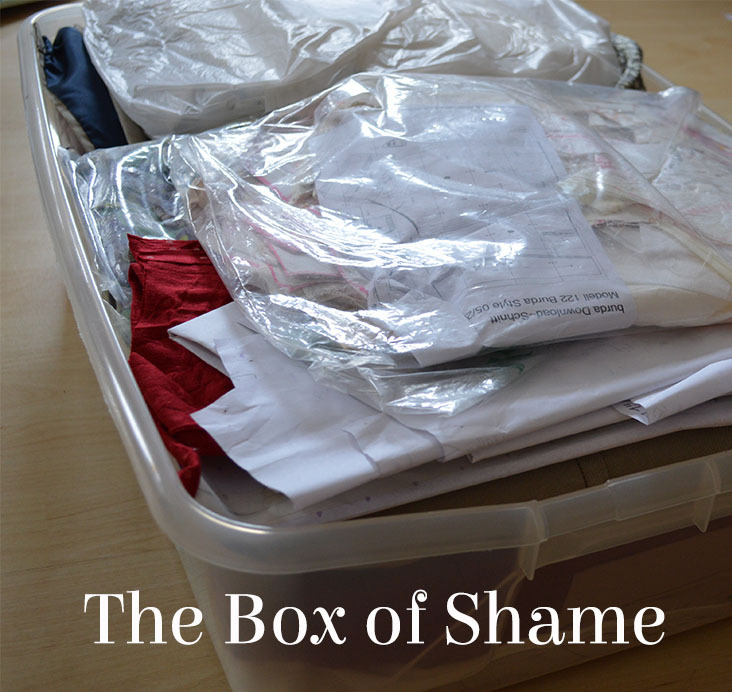 GET RID OF THE BOX OF SHAME! I want to be more organised – both in my personal life and work life. I definitely want a more organised wardrobe. I guess I’m still hankering after a capsule wardrobe but it’s more than that. I want my clothes to work with each other and have a more cohesive wardrobe… I actually want to be able to wear 80% of my wardrobe rather than only 20%. No surprises here… but I will be making more lingerie this year…. And oh yeah – I’ll be trying to earn an income from it! So I’m kind of hoping that that will definitely be a success. And of course, I will let all of you lovely people know how I get on!